Georgetown bed and breakfast travel guide for romantic, historic and adventure b&b's. 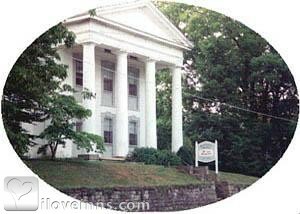 Browse through the iLoveInns.com database of Georgetown, Ohio bed and breakfasts and country inns to find detailed listings that include room rates, special deals and area activities. You can click on the 'check rates and availability' button to contact the innkeeper. When one thinks of President Ulysses S. Grant, some think of the town where he grew up, the village of Georgetown in Brown County, Ohio. The school where President Ulysses Grant attended as a grade school student still stands and it is now known as Grant's School House, one of the many attractions in this quaint, historic town. When in town, do not forget to stay at the very memorable Georgetown bed and breakfast inns so that you get a taste of the Georgetown brand of hospitality. The tannery owned by President Grant's father is just across the street where Grant's Childhood home is located and is a part of the many stops on the Land of Grant Tour. One of the events you will enjoy in Georgetown is the annual Brown County Fair which brings in thousands of visitors from everywhere. By Bailey House.